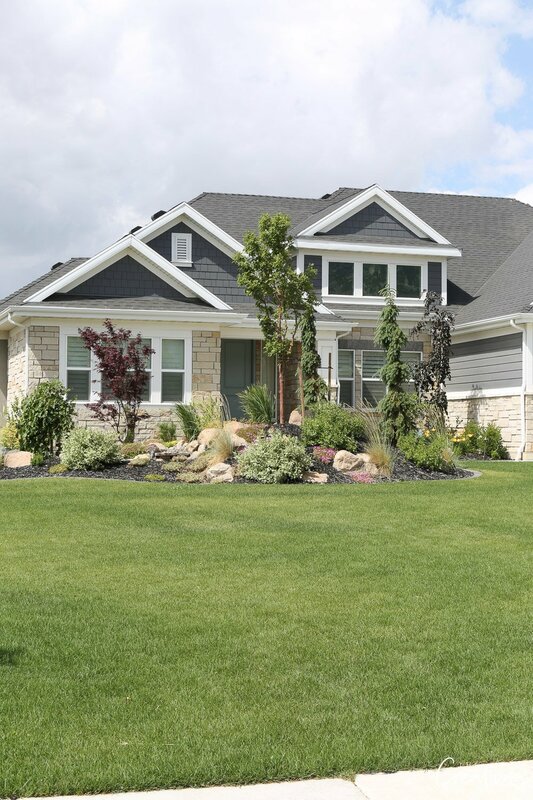 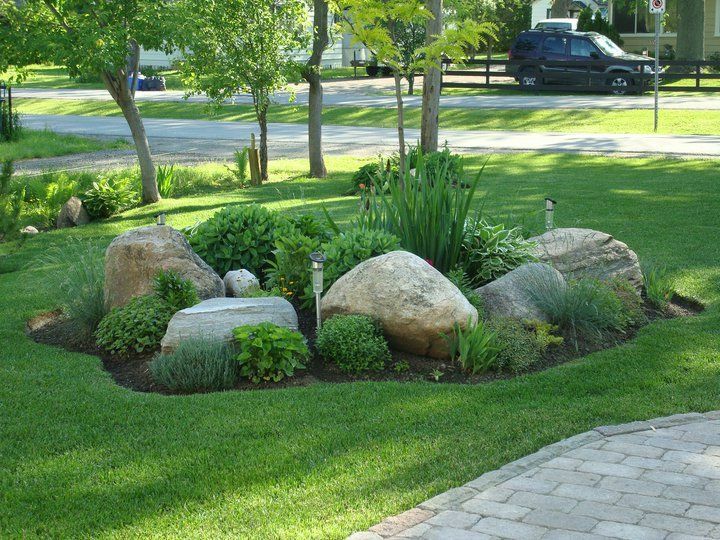 Landscaping with rocks and boulders is such an easy way to not only instantly improve your home’s curb appeal but it’s also a very smart way to prevent erosion and help to retain moisture in garden beds. 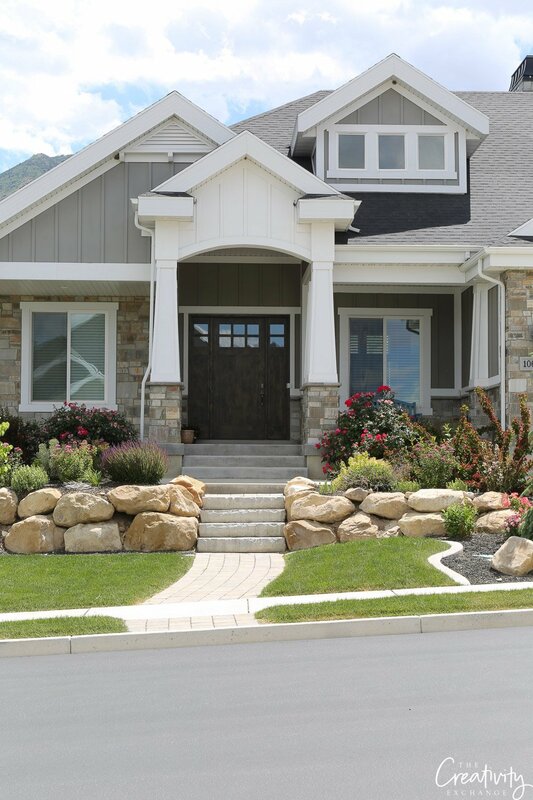 Today, I am showing you some beautiful ways to incorporate rocks and boulders into your landscaping. 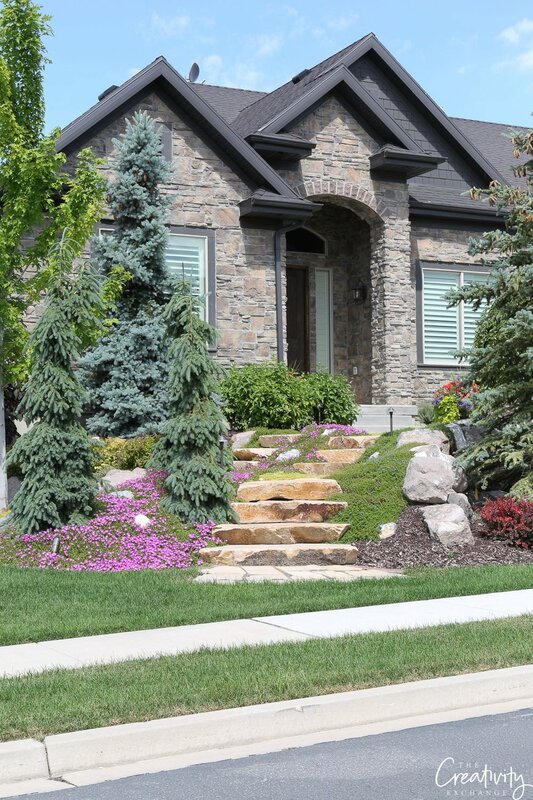 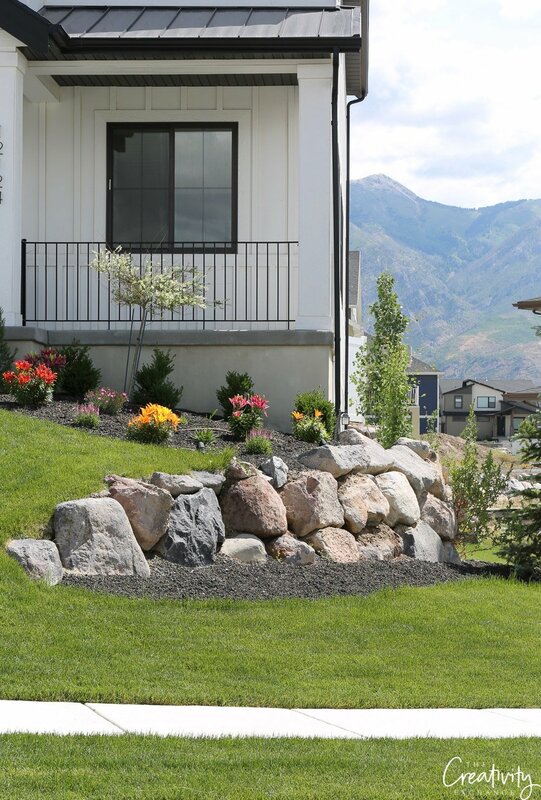 When I was in Salt Lake City a few weeks ago for the Utah Valley Parade of Homes, I saw so many yards and gardens landscaped with rocks and boulders that I was so inspired with all of the beautiful ways homeowners incorporated them. 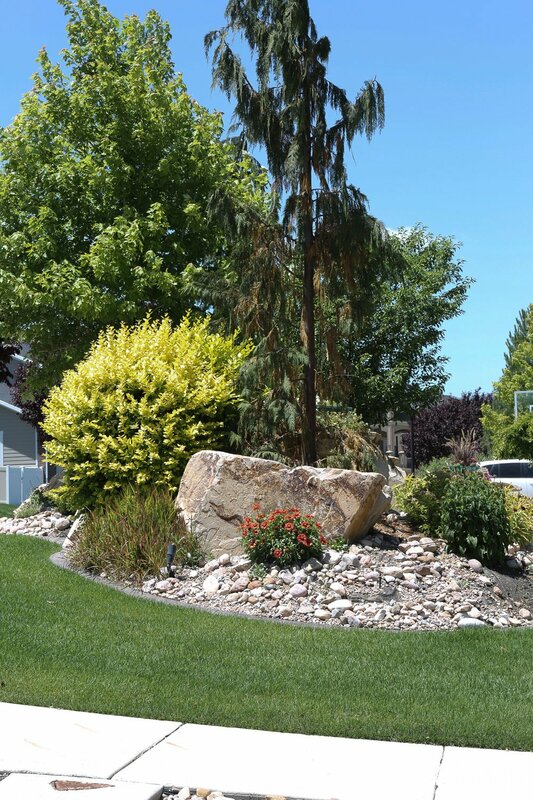 Because boulders and rocks are less expensive and abundant in mountain/rocky areas like Salt Lake, we see more creative landscaping uses. 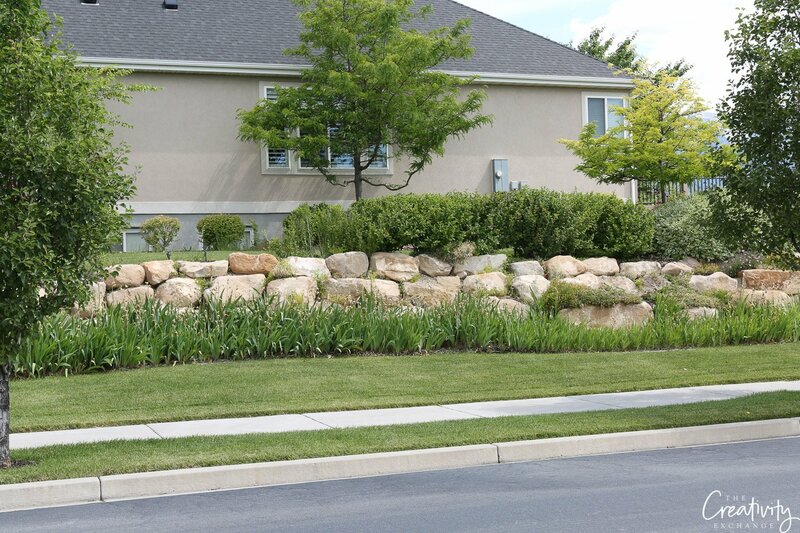 However, boulders and rocks should be available at your local stone/gravel yard for landscaping. 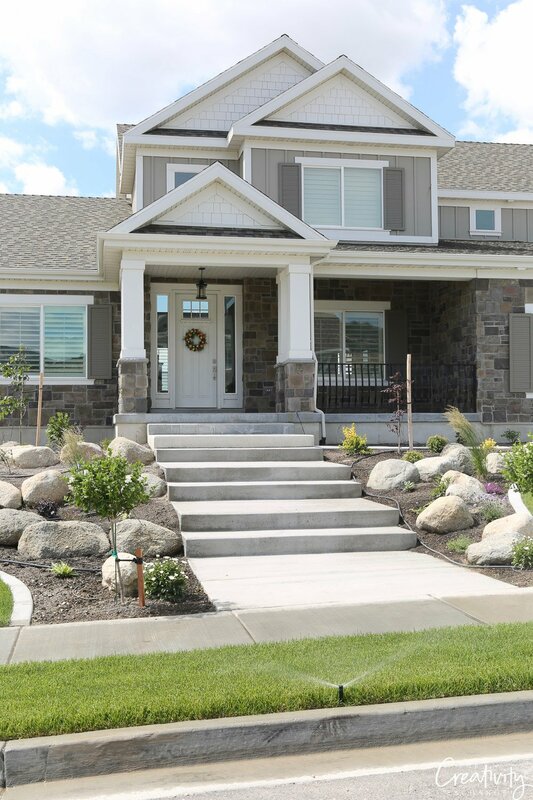 You can go to look and pick out which coloring/size you want and the stone/gravel yards should deliver. 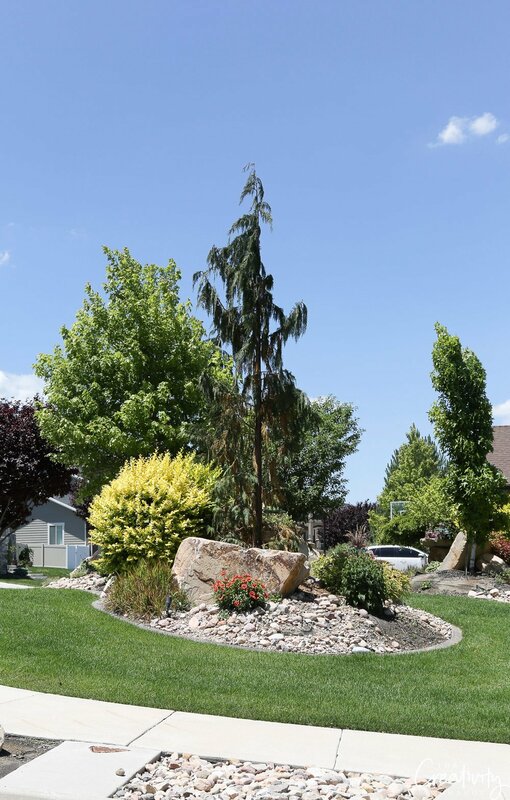 You can also work through a local landscaper. 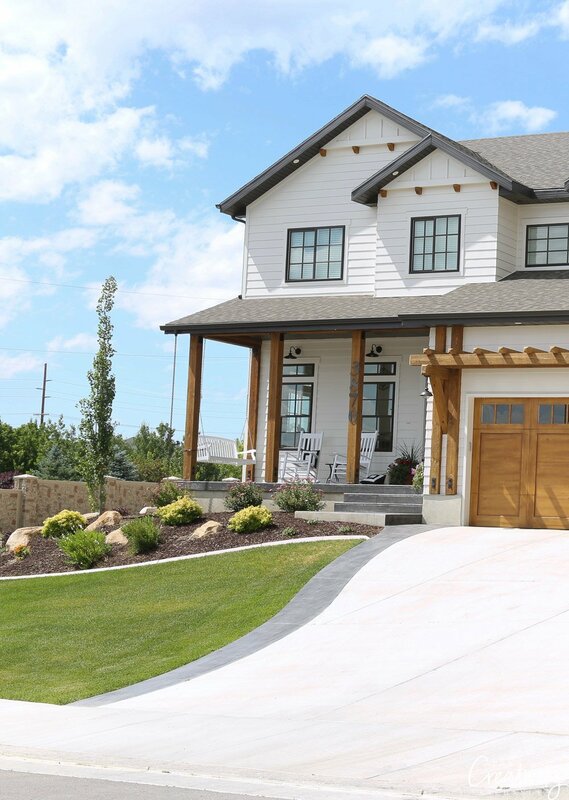 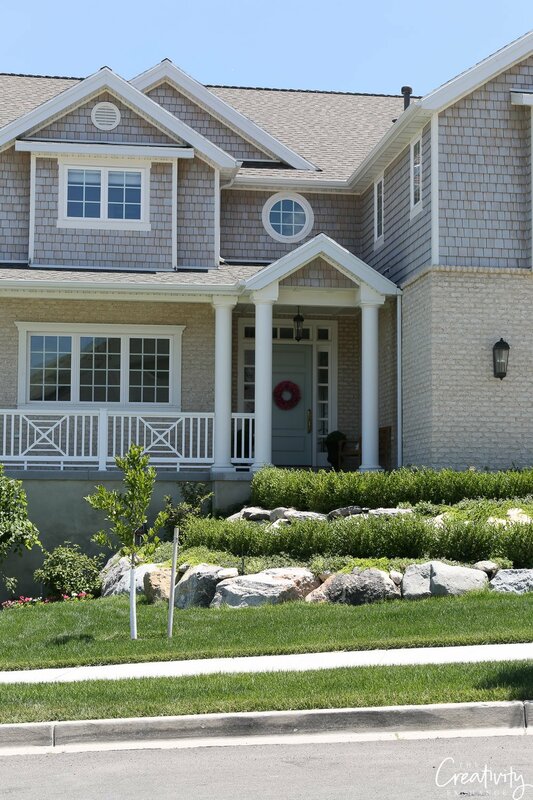 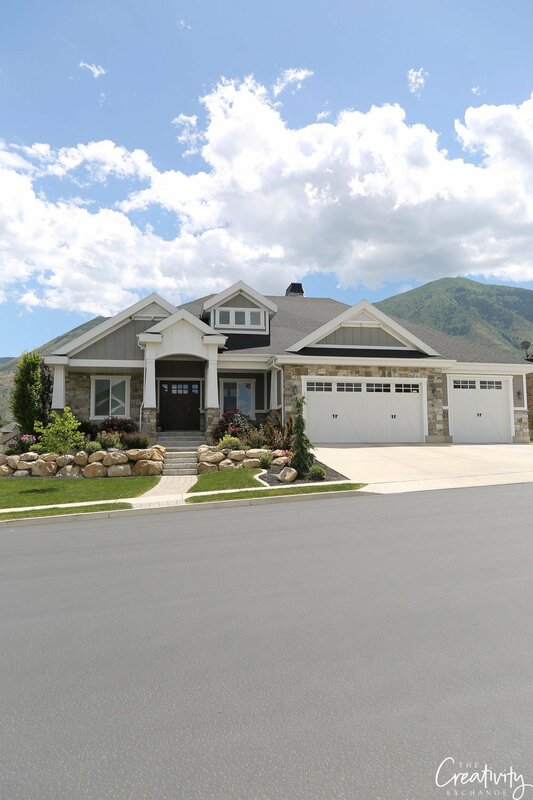 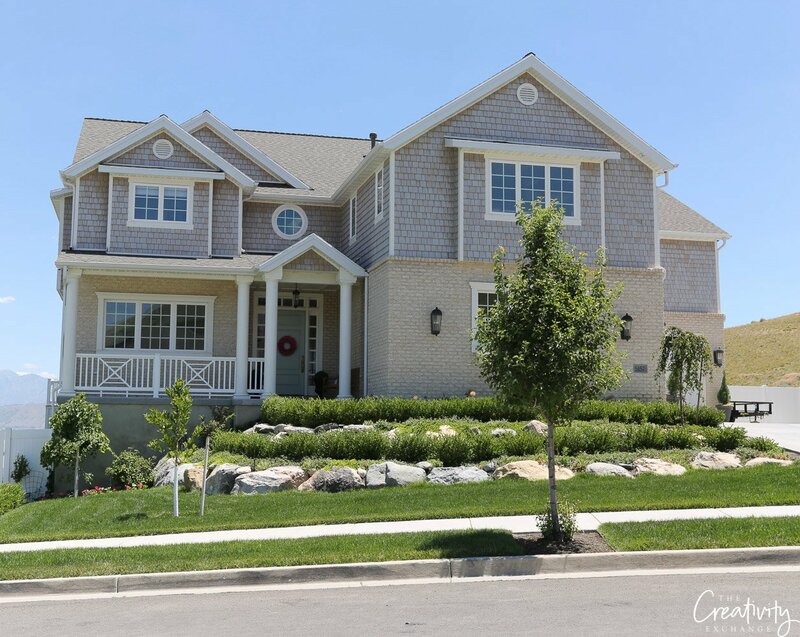 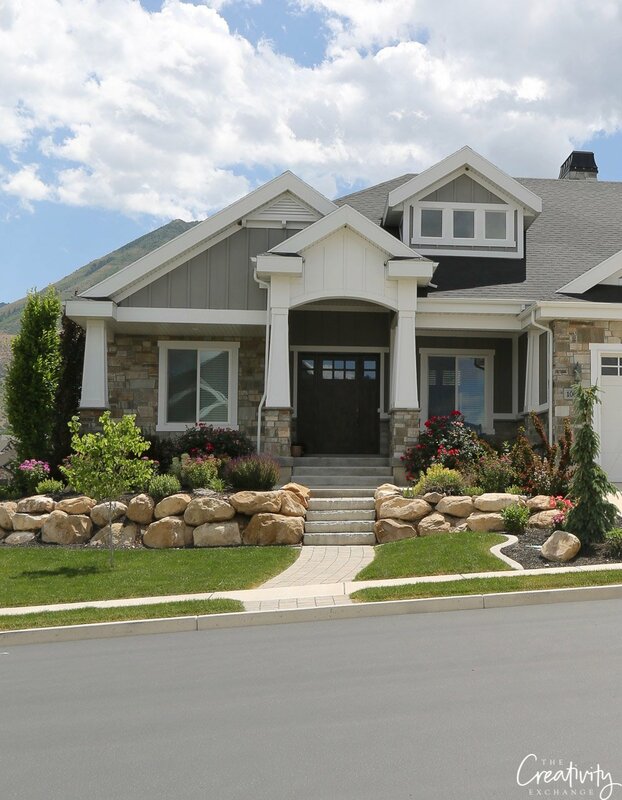 If you want to see more homes from the Utah Valley area, you can see my UV Parade of Homes recap here. 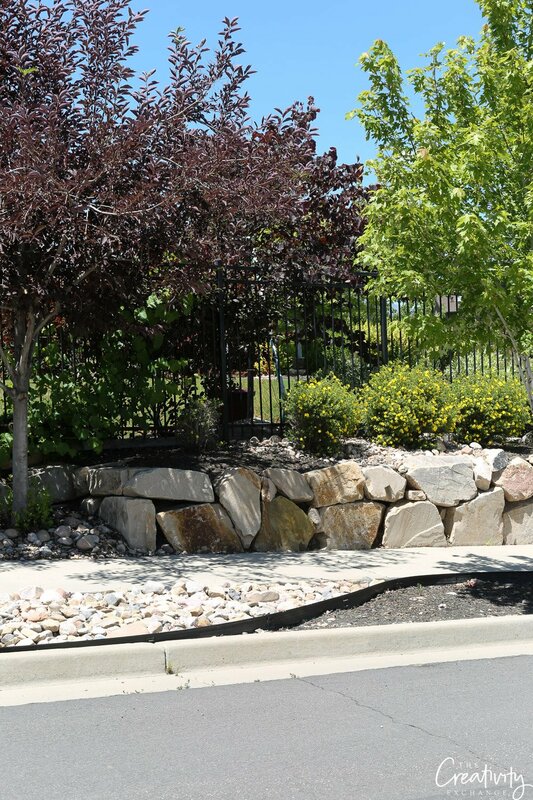 I love boulder walls! 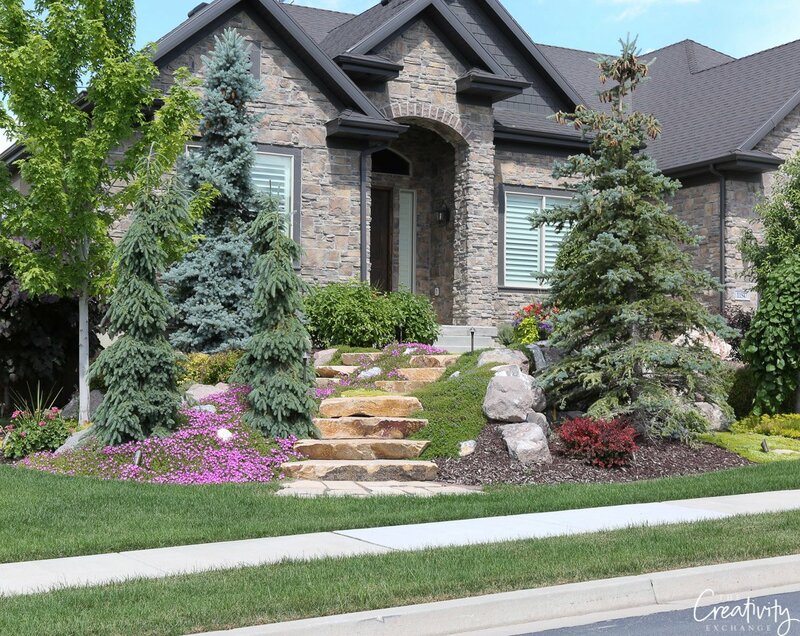 They always look so fancy!! 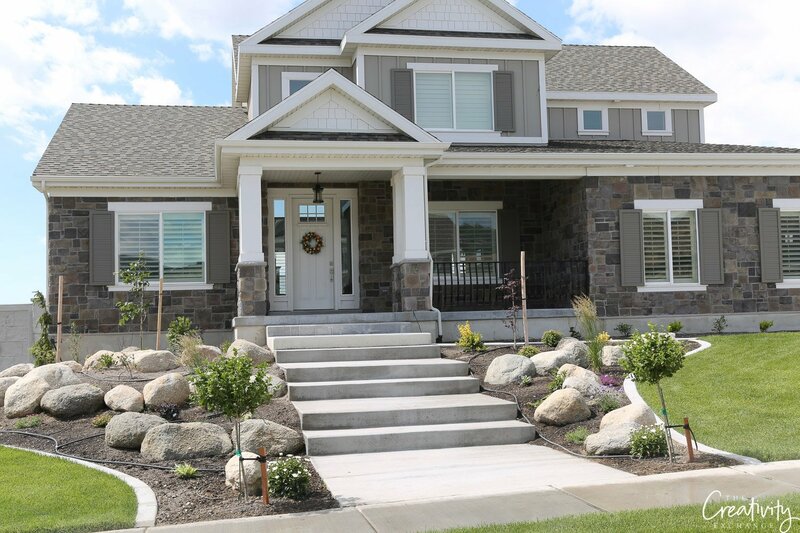 I absolutely love the use of rocks/boulders as part of the landscape. 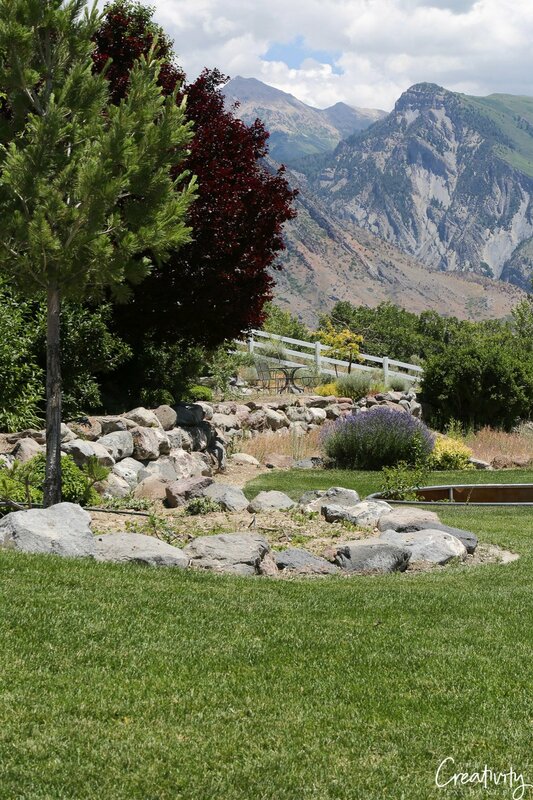 I had told my husband some time ago that I want to do this in our yard. 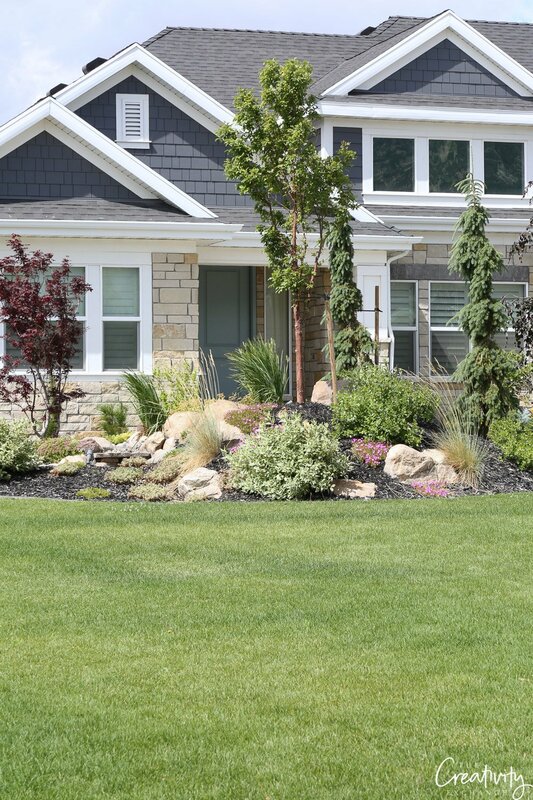 I think they add so much interest and the more organic the look, the better I like it. 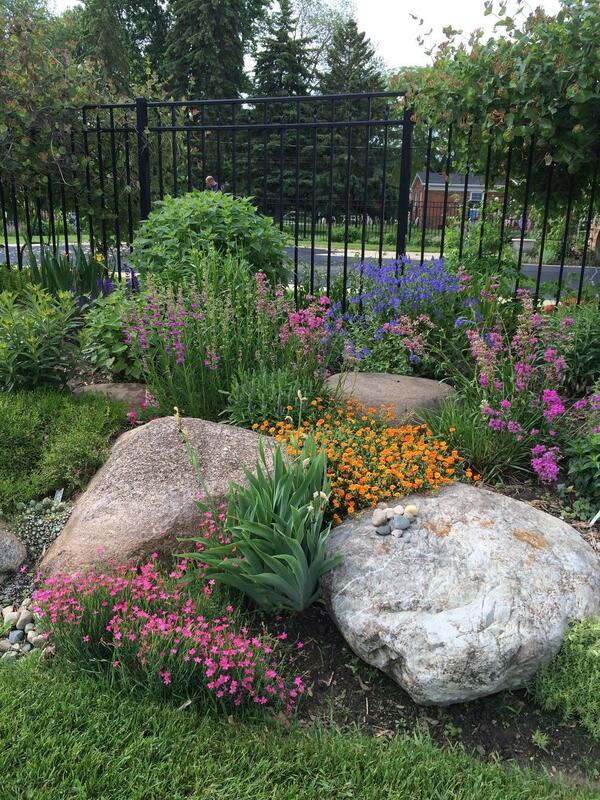 Thanks so much for showing such lovely landscapes and giving me many ideas. 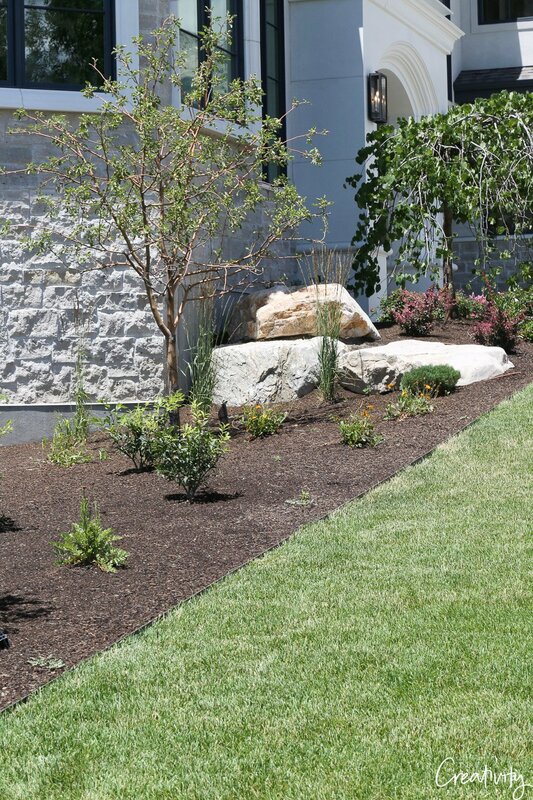 I like on a hill, so planting and maintaining the vegetation can be hard in parts. 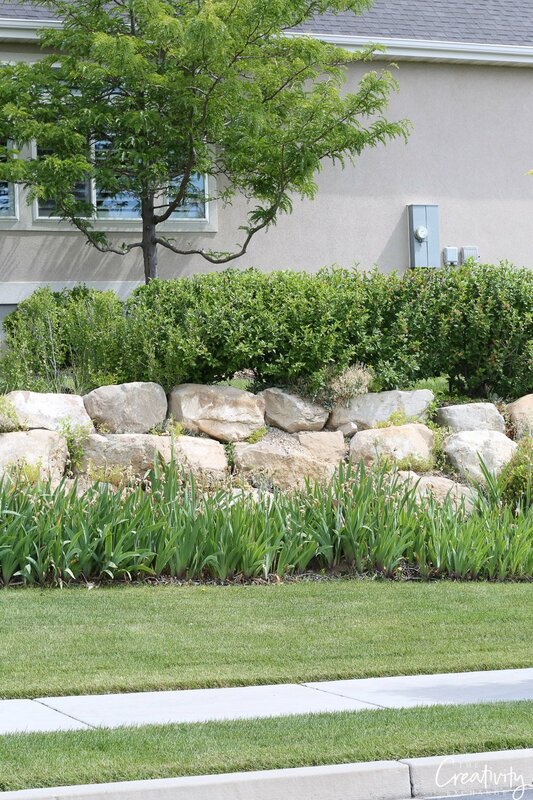 I love the idea of using boulders and rocks, as you don’t have to work too hard to keep them organized. 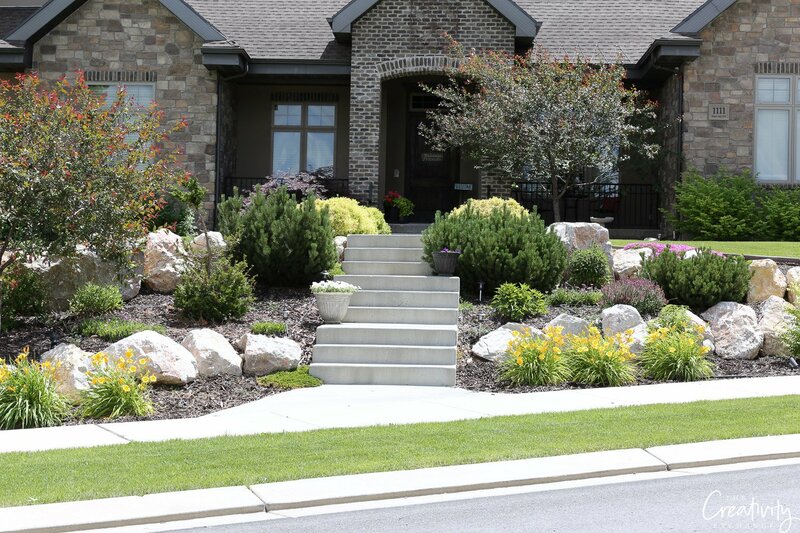 Thanks for all the great landscaping tips.